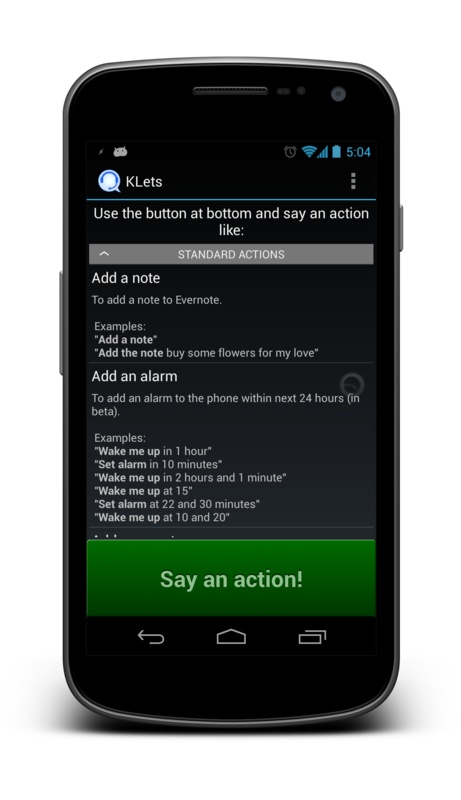 KLets – Voice control for Android™ – Control the phone with your voice! Control the phone with your voice! With Voice Control, you will be able to use your Android™ phone in situations where you can't touch or watch it, or when is better to not do so. If you want to contribute on beta testing or translations, request an access here!